As a sales professional, it’s important to be able to reach out to your audience. 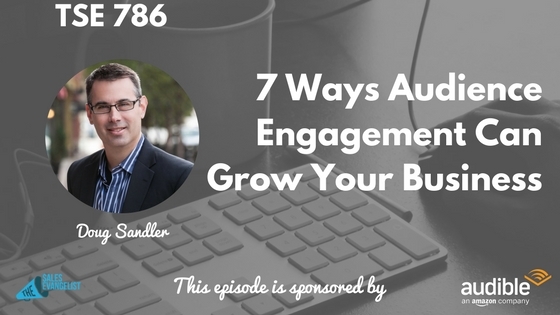 During this episode, Doug Sandler shares with us how engagement can build your business. 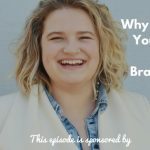 Listen and learn how you can increase your audience engagement and build relationships as well. Engagement is all about rapport building, networking, having a direct one-on-one connection with someone in your community. Use tools like Twitter and podcasting to reach out to your subjects. It connects you to your community. Relationship building is everything. It’s not about the transaction but the relationship. If you bring relationships to the forefront, the business will always come to you. You may not have the best product in the market but if you have a strong relationship, they believe in you. When you build relationships, they’re willing to pay more than what they would pay as a commodity. If you create a good relationship, they will go out of their way to recommend you. Stop waiting. Start doing. If you have one person, cherish that person. Get anything started to increase your one-on-one communication. Reach out. Send an email greeting. Send a text message. Write a blog or create a podcast about the person you want to engage with. Be afraid of quitting but don’t be afraid to fail. Keep doing what you need to do. Pick yourself up, keep moving forward and work hard!